The West Coast Eagles were again in the middle of the inventive system that is the new order of the AFL National Draft, engaging in a creative trade that saw it relinquish pole position on day two. The Eagles traded the first selection (23) on phase two of this new-look player ballot system, but gained another selection in the second round. The club handed Gold Coast selection 23 and a fifth round selection next year, for picks 27 and 32. At the time the Eagles had selections 27, 29 and 32, but they were pushed out to 28, 31 and 35 after a few academy and father-son bids. Gold Coast selected South Australian Jez McLennan with the first choice of the day, while West Coast brought Xavier O’Neill from the Oakleigh Chargers into the club as its first draftee of this two-day extravaganza. Subiaco forward and midfielder Luke Foley was secured with pick 31, while emerging Dandenong Stingrays ruckman-forward Bailey Williams was claimed with pick 35. The selection used to lock down Williams was pushed out one spot after the Eagles had made a bid for GWS Academy ruckman Kieren Briggs with 34. The Giants matched that bid. Finally, the club secured exciting forward Jarrod Cameron, a Next Generation Academy product and brother of Brisbane star Charlie Cameron. The Lions made a bid for the younger sibling with selection 39 and the Eagles matched that bid. O’Neill is an exciting midfield prospect with breakaway speed and strong endurance. Foley is an elite outside runner, who is a 400m, 800m and 1500m State athlete. The versatile 188cm rising star was a key factor in the Subiaco colts premiership. Angular forward and ruckman Williams stands at 198cm and weighs in at 95kg, and was considered the best big man in the TAC Cup in 2018. He is strong overhead and efficient with his ball use and will again add important big man presence to the club’s list. Cameron is an explosive midfielder or forward from Swan Districts who spent much of his formative years in the north-west and produced a stand-out five-goal haul against Victoria Country in the national 18s championships. 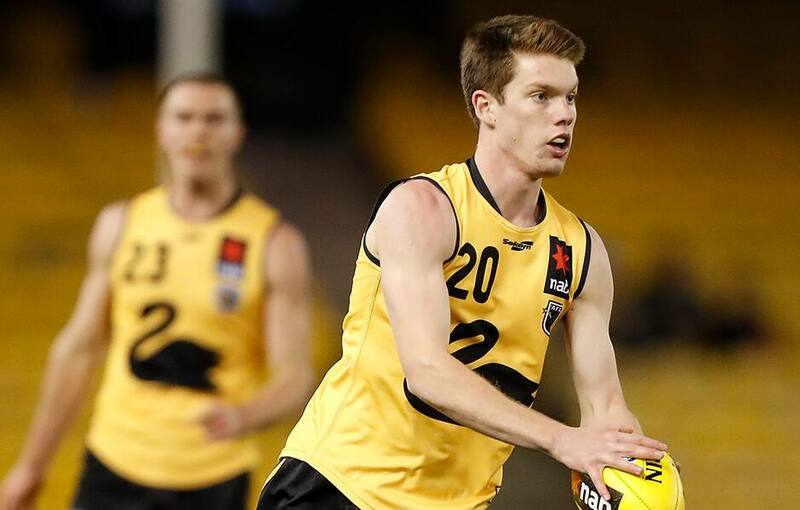 With the four selections in the draft proper, the Eagles managed to cover most aspects of the list with two classy, hard-running midfielders (O’Neill and Foley), a ruckman-forward (Williams) and an explosive small forward (Cameron).